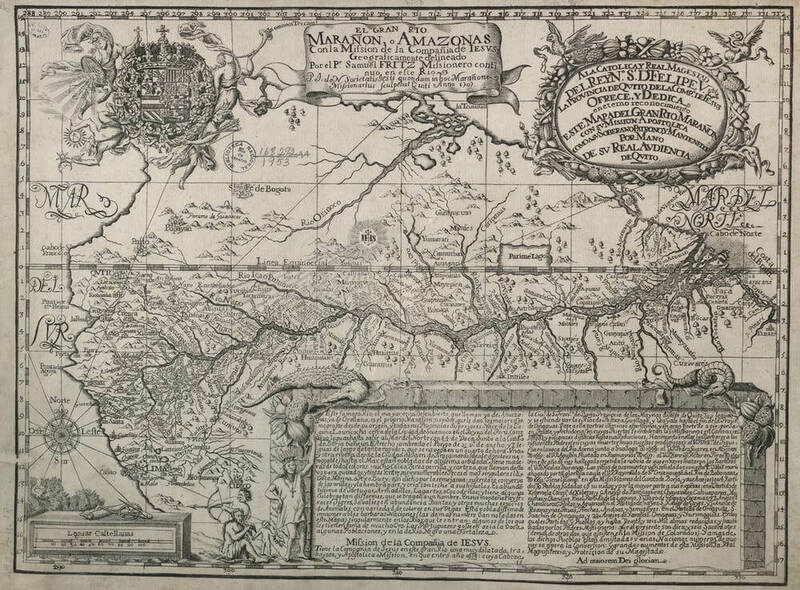 In 1707, a Jesuit missionary from the Czech Republic named Samuel Fritz published one of the first detailed maps of the Amazon River. Fritz spent much of his life in the region and his map names and locates (often incorrectly) many of the Amazonian forest peoples he encountered. In this sense, his map helped tie them to certain places, and to particular colonially-defined identities. 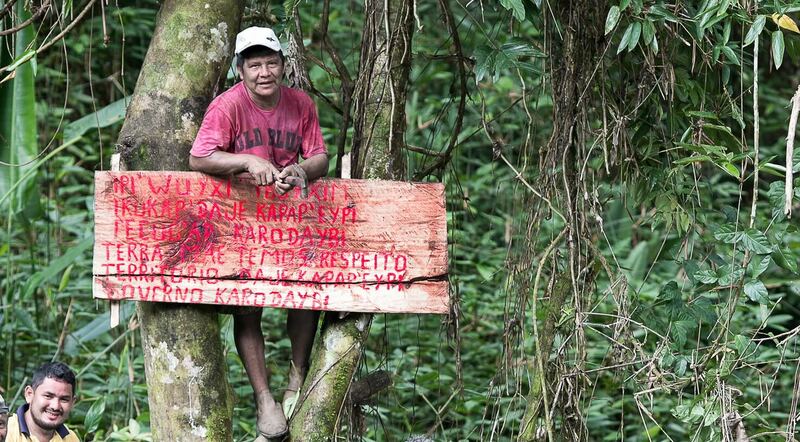 While Fritz was mapping out the Amazon, other Europeans were hard at work in tropical forested countries across the globe, drawing up boundaries that ignored and criminalized forest peoples’ customary rights to live in their ancestral territories. Maps have always been part of the imposition of power over colonized peoples. While map-making might be thought of as “objective”, it is fundamentally political, a necessary part of controlling a territory. Maps inscribe borders, which are then used to include some and exclude others. During a late 19th-century rubber boom, Amazonia became increasingly well mapped out as the young nations of Peru, Bolivia, Brazil and Colombia vied for territorial control. The rights and interests of Amazonian peoples were never included in this process and they would be continually denied rights, recognition and citizenship from these nations until the 1980s and 1990s. Even following legal recognition, their territorial rights – critical for their continued existence – are still often ignored in practice. These marginalized people are now working together to reclaim the process of mapping itself. 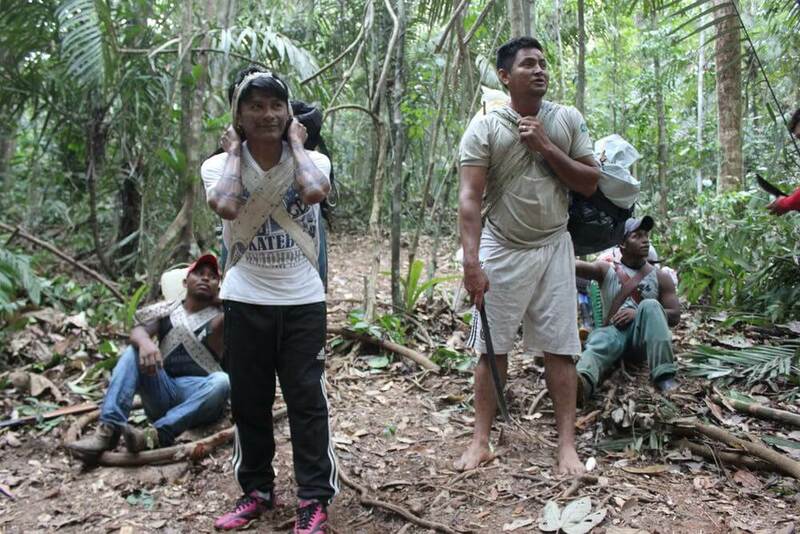 In the central Brazilian Amazon there has been a recent flurry of “counter-mapping”, used by forest peoples to contest the very state maps that initially failed to recognize their ancestral territorial rights. Counter-mapping first came to prominence in the 1990s, when it was particularly influential in Indonesia. Back then, it was rudimentary and new maps were produced by hand. Today, communities have access to GPS and smartphones and are able to walk along trails marking out their territorial claims. In Brazil counter-mapping falls under the wider term of “auto-demarcation”, which also includes various other forms of territorial monitoring that would normally be carried out by the state. The goal is to safeguard the integrity of territory, defined as much more than just land (schools, for example, are one stated objective). In Brazil, recognition of forest peoples’ territorial rights can take decades. The government, acting in the interest of rural elites, is currently attempting to roll back these rights. The Munduruku people of the middle Tapajós river, a southern tributary of the Amazon, provide the most iconic example of counter-mapping. The auto-demarcation of their ancestral Sawre Muybu territory is part of a wider Munduruku political movement Ipereğ Ayũ against dam construction and industrial mining on their land. Neighbouring riverine peasants who self-identify as “the Beiradeiros,” are counter-mapping their community of Montanha-Mangabal to resist land grabbing, illegal mining and logging. The Beiradeiros and the Munduruku have passed from being enemies to allies through joint political action against major proposed hydroelectric projects and now work together to auto-demarcate their respective territories. But can counter-mapping really liberate these communities? Research on counter-mapping in Nicaragua and Belize in the 1990s and 2000s shows it did result in the recognition of indigenous land rights. But land can’t fix everything. Even reclaiming their land couldn’t free indigenous peoples from colonial social relations. State-indigenous relationships continued to be oriented around property rights, the basis of modern politics. Counter-mapping can also be ineffective. In the Chaco region of Bolivia, years of stalled land titling led some Guaraní indigenous people to give up on state recognition of their territory. Instead, they signed an agreement with Respol, a Spanish oil company, which acknowledged their property rights. Despite this having no legal standing in Bolivian law, the Guaraní saw an agreement with an oil company as better than a state land title. In central Brazilian Amazonia, however, auto-demarcation has in some cases forced the government to act. For instance, the Munduruku have gained official recognition of their territory, Sawre Muybu. Auto-demarcation then can be understood as a combative form of dialogue with the state, of struggle for access to territorial rights, much more than just the materialization of these rights. 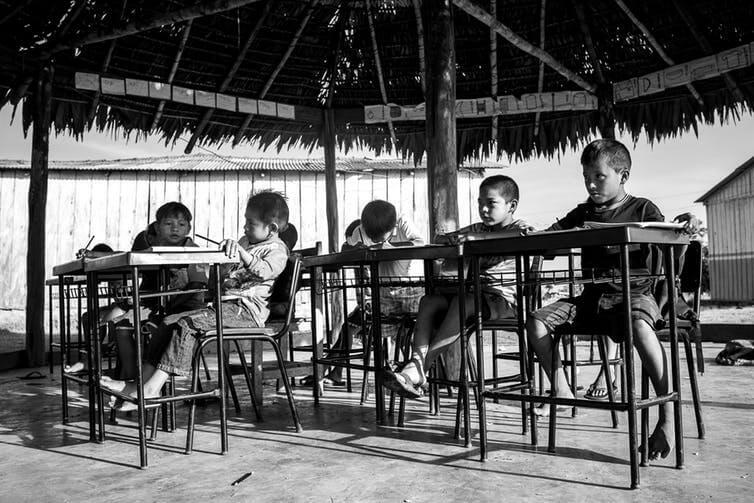 The indigenous peoples of the middle and lower Tapajós are now considering the links between their struggles and those of the Zapatista movement in southern Mexico, where auto-demarcation was used as part of reclaiming their sovereignty. The degree of political agency and empowerment that Amazonian forest peoples acquire through the process of auto-demarcation is striking. Independent of whether it leads to state action and guarantees of territory, this is an important achievement. This article was originally published by The Conversation. It has been re-published on IC under a Creative Commons License.